Madrid is the capital and largest city of Spain. The population of the city is roughly 3,3 million and the entire population of the Madrid metropolitan area is calculated to be 6,5 million. The city is located in the geographic centre of Spain and as the capital city of Spain, seat of government, and residence of the Spanish monarch, Madrid is also the political centre of Spain. 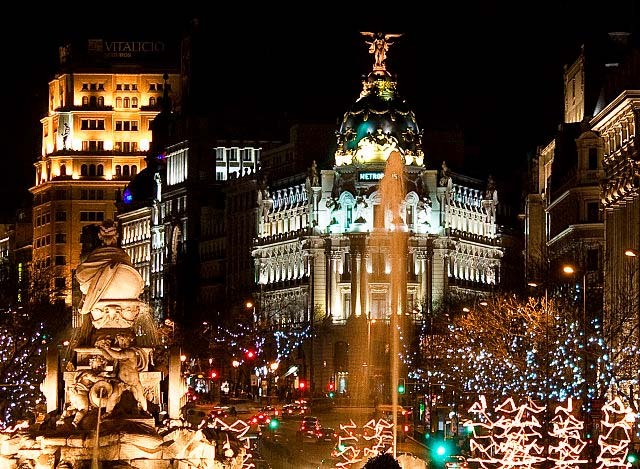 Madrid is the most touristic city of Spain, the fourth-most touristic of the continent, and is the 10th most livable city in the world according to Monocle magazine, in its 2010 index. Madrid also ranks among the 12 greenest European cities in 2010. Madrid is currently a Candidate City for the 2020 Summer Olympics. The origins of the city of Madrid goes back to the Muslim period. Muhammed I (b. 852, d. 886), son of Abdel Rahman II, ordered the construction of a citadel and the fortification of the village of Mayrit, which went on to become a walled town. The location chosen for the fortress later on became the spot where the Trastamara Castle, the Hapsburgs’ Fortress and what we now know as the Royal Palace of the Bourbons were raised. 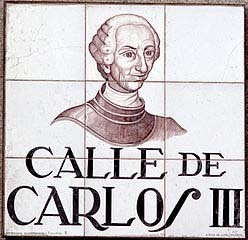 Carlos I chose Madrid for short stays and, in the year 1561, Felipe II established his residence in the city of Madrid. At the end of the 16th century, the city had 40,000 inhabitants. In the year 1606, Madrid became definitively the seat of the Court of the Spanish kings during the reign of Felipe III. Carlos III, who was the fourth Bourbon king of Spain, was inspired by the Enlightenment spirit, as well as by erudite despotism, with the aim of imposing his great fulfilments. He achieved the cleaning of the city as well as the reform of streets, squares and avenues. Industry, culture and the inhabitants of Madrid were going to the first to benefit from his rule. In a short time the city saw new street lighting, a sewer system, paving and paper currency, thanks to the St. Carlos Bank. 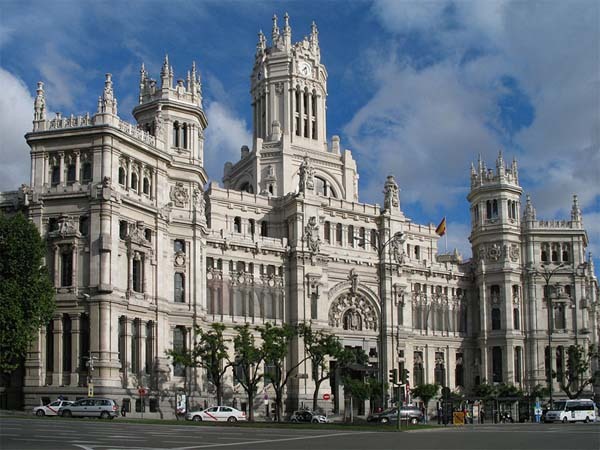 Great urban works and reforms were designed and finished: the Puerta de Alcalá, Prado Street, the Botanic Garden, the Medicine College of St. Charles, the post office and customs buildings, and the Cibeles, Neptuno, Apolo and Artichoke fountains. Also, the Royal Palace was completed as a definite residence for the Spanish kings. The province of Madrid was born in the 18th century during the reign of the Bourbons in Spain. It was created as an answer to the great incoming population and due to the city becoming the Court of the Habsburgs in the 16th century. The arrival of the 19th century was synonym of troubles in Madrid where on the 2nd of May of 1808 began the insurrection against Napoleon troops. The Independence War was started. After years of military confrontation, Fernando VII was restored and after his reign, we arrive to Isabel II’s reign. In the year 1833 took place the fundamental provincial division and the present provincial limits of the territory of Madrid were established. The 20th century was, for the history of Spain, one of great conflicts and significant events. The regimes of Primo de Rivera and then of Francisco Franco, following a brief democratic experience and a civil war of fatal consequences in between, became the main characters of a very restless half century in Spanish history. Democracy, political parties, parliamentary regime, monarchy and stability during the last third of the century became the symbols of a modern country that opened its doors to the world. 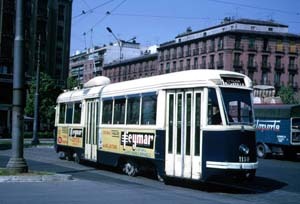 A PCC tram build by MMC in Madrid in 1969 near Atocha Station. 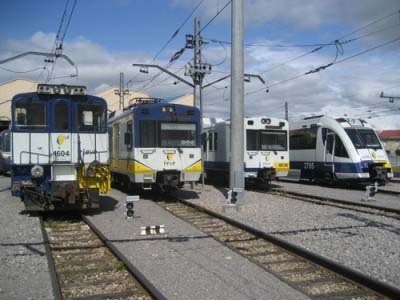 Video about Madrid and the urban transport system.